Is your dad the best dad ever? 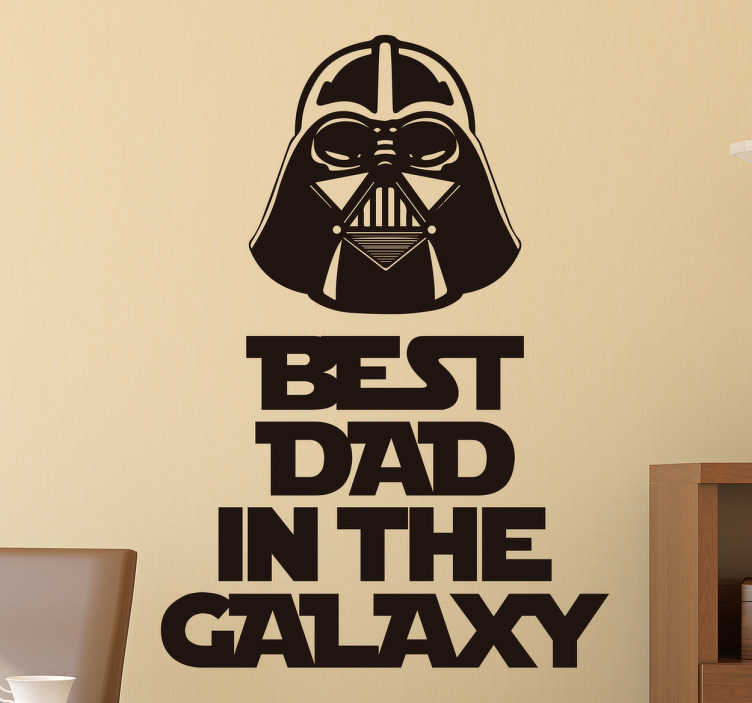 Let him know with this star wars wall sticker. The star wars sticker consists of the message "Best dad in the galaxy" with a picture of Darth Vader above the text. The sticker is available in various sizes. We use a special adhesive film that leaves no mess and is easy to apply to any flat surface. If you're dad is a massive star wars fan, surprise him this fathers day with this great present.